Do Schools Have Any Legal Obligation to Identify and Test Students? 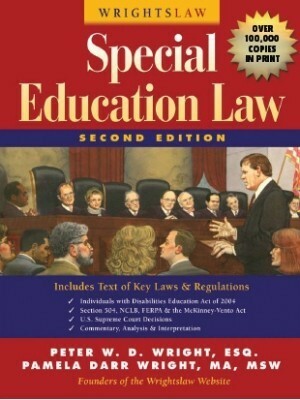 Several weeks ago, someone who was using the Special Education Law and Advocacy Multimedia training program asked a question about the school’s legal obligation to identify and test students. As a tutor who works with students struggling in reading and math, she was concerned about the number of her students who have never been tested or received any services, despite having continually performed below grade level. These kids’ parents were unaware that they could request testing, or that their children might have a learning disability and be eligible for special education services. Do you have a struggling student? If you have a student who is struggling and has not been evaluated or received any specialized help, read what IDEA 2004 says about the Child Find mandate. As she learned more about advocacy, this tutor has helped parents request testing and get IEPs. She worries that for many kids, this is too little and too late. Many of her students were never identified and are now in middle school. 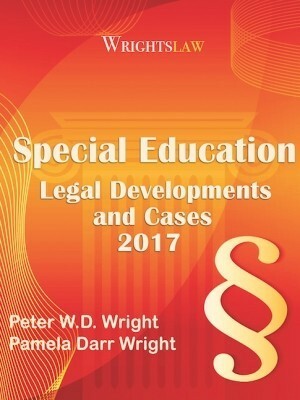 For parents, tutors, and others who read this and are not aware of these legal requirements – YES, schools are required to identify and evaluate all children who may have disabilities under the Child Find mandate. If you have a student who is struggling and has not been evaluated or received any help, read what IDEA 2004 says about Child Find. children who are wards of the state. This includes all children who are suspected of having a disability, including children who receive passing grades and are “advancing from grade to grade.” (34 CFR 300.111(c)) The law does not require children to be “labeled” or classified by their disability. (20 U.S.C. 1412(a)(3)(B); 34 CFR 300.111(d)). 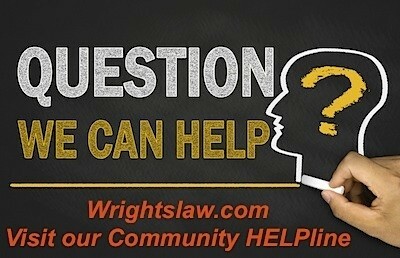 This entry was posted in Child Find, Eligibility and tagged Child Find, Eligibility, Evaluations by Wrightslaw. Bookmark the permalink. Rebecca, I am saddened by your story. It sounds like the school did not provide FAPE for your daughter. Have you ever had an outside evaluation done at the school’s expense by a professional? It is your right to do so if you ever feel like you have not agreed with the test results the school has provided. It is not too late. You must request this in writing. The school will need to send you a list of places you can get the testing. You do not have to pick any one of these. You may get a test from someone you know. Once the test results are complete the school must at least consider them. You can then meet and decide what is best for your daughter. Children can go to school up to the end of age 21. There still could be a chance to provide some FAPE for your daughter. You may call an attorney as well. Hello. I have a 17 year old daughter that has always received help in school since she was around 3 years old because she wasn’t talking. When she was 5 I took her to Mary Free Bed in Grand Rapids and had her tested and they just said that she’s delayed now she’s 17 years old and while she’s always been in Special Education she’s always had a problem socially which makes me sad because she’s such a great kid. I keep thinking that she has Asperger’s but when I had a meeting with her Special Eduction teacher two weeks ago he told me that he doesn’t think that she has Asperger’s and said that they won’t test her for it. He also said that she got tested at our local ISD and they said that they didn’t think she wasn’t Autistic at that time. I need to find out what my options are.. my daughter doesn’t even know how to count change. What you daughter suffered from was an ill education. Schools are not teaching the subjects thoroughly anymore, and haven’t for some time. What was keeping you from home schooling her? You could certainly teach her to count change. Schools have not taught grammar since the 80’s, and do not teach cursive, penmanship, math WITHOUT a calculator, etc., etc. The schools make anywhere from $400. to $1000. per student diagnosed with a disorder. You may want to read John Taylor Gatto’s book entitled ‘The Underground History of American Education’. There are many reasons why the children are not being educated, yet people are constantly being told they are getting a great education, and that there is something wrong with their child. Chances are, nothing is wrong with your daughter. So is it possible for a teacher to tell a student they have mental illnesses just because they couldn’t do an assignment for 1 day and then take that person’s phone away. Request an ard meeting asap, request a FIE full intelligence evaluation especially before she turns 18. My son is under special education and because he was 18 they told him he didn’t have to invite me to the meetings. Long story short I’m a former school counselor I am aware of testing paperwork, and parents rights they have to test your child for whatever you feel is a concern. The ball is in your court. Jennifer – Please read today’s post about a child with dyslexia who was reading 7 grades below his peers when he began middle school. His mother describes the steps the family took to ensure that he was not illiterate when he graduated from school. Fixing these problems are much harder when children are older but your daughter can learn to read, write and spell. Please don’t forget this lesson: Parents represent their children’s interests. It is your responsibility to ensure that she has the skills she will need to succeed in her life after school. If you don’t step up to the plate, who will? We advise parents to get private testing. The article will fill in the blanks. Now she is in high school, and she is failing. She failed spanish, and she was doing poorly in algebra until I found a tutor (at my expense) who helped immensely. She is doing poorly in world history (lots of reading and essay writing). I requested a meeting with the school pyschologist and her counselor and told them I believed she is dyslexic. They said she may be, but they do not do any testing for dyslexia. Can this be true? I cannot afford to pay for this testing at $1350. 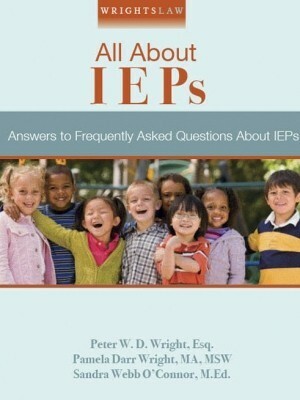 Check into Other Health Impaired IEP. THe school board office should have a policy on how to apply for this. My middle son ended on an OHI IEP for ADHD and it worked great for him. My son was diagnosed wih Bipolar DO/ADHD several years ago. As his language skills progressed so have his “symptoms”. After having him retested the results changed the label to Aspbergers. His school however refuses to accept this diagnosis. The district psych did her own testing which came back showing only ADD. They are refusing to offer him help and basically telling me that i am over reacting and that he doesn’t need any help, that he is fine and has no problems. He has been at the same school for 9 years and they have seen his progression. Not sure what to do in order for him to get the help he needs and is asking for. I am a student, writing a paper. i hope to be a teacher one day. i was hoping someone could help point me in the right direction regarding teachers rights. What would you do if you suspect a child has learning difficulties and the parent disagrees? Can you still get them tested? or Do you have to let the child fall further behind in class? Last year my son’s 1st grade teacher voiced concern about his lack of focus and all over the board test scores. This year I talked to his second grade teacher and she states the same issues. I asked her if the school can have him tested as I do not have insurance. After several months I finally received an answer that the School District (SC) will not have him tested and that I have to take him somewhere and have him tested and pay for it. Does this not fall under the Child Find mandate? my husband and i have had constant problems with my daughters school. She is struggling with reading comprehension and is a shy child. We have continuously asked the school to test her for special education. Because she doesn’t talk and one test they do requires verbal speaking, they will not test her. And they told us that my daughter might have a social anxiety disorder – if she does they cannot/will not test her for special education even though she will continue to struggle. Now because her scores aren’t where they should be and because of her shyness, they are planning to retain her in the 4th grade again next year. Any suggestions? Thank you, Susan. We have a dx of ADHD and ODD–along with biological parent histories of bipolar, trouble in school, etc. I feel just sick that the principal (who was very against our request for testing) would go and say such a thing to the teacher who was only trying to help my daughter. And this teacher was the second teacher to recommend we explore this. WHAT is the aversion to testing? Why is there so much hesitancy–especially in a child who has already done a year of pre-first and other interventions? This is a new arena for me and I am baffled. Charles, I hope you documented back to the the teacher in writing the comment she made! If so, use that, she obviously has a suspicion that your student has a disability, this DOES trigger an eval under child find! Use any other data you have to demonstrate suspicion, such as tests given to all students (standardized tests) any emails between you and the teacher discussing child’s difficulties, outside evals, etc. My daughter’s teacher recommended we look at testing her for a LD. The principal went to the teacher the next day and told her she could not state those words to parents–recommend LD testing or use LD terminology that would infer the need for testing. Thoughts? This seems to be a clear violation of Child find. Any help or direction would be most appreciated! TXTeacher-OSEP released guidance on districts NOT being able to delay an eval under a RTI model. It is on the wrightslaw website. Perhaps, the parents are not asking the right questions. Give the parents any data you can that shows the child is not responding to the intervention, if child is not responding to good instruction, then this could raise suspicion of a disability. Any other data that you or the parents have that would demonstrate suspicion of a disability, outside evals, standardized tests given to all students, etc would also be helpful. Were the parents given info on the progress they should see during the tiers of RTI? If so that would be info I would use as well. Get the parents in some training on the IDEA. Bottom line, if there is supsision of a disability, school is required to do eval. Another common theme I’m hearing is the child’s a “slow learner” and working at their potential. I can’t accommodate or modify the curriculum, so the kid basically fails all year and eventually gives up. SO frustrating and sad.! What is with the “slow learner” excuse. Even if this is true, the child simply has a low IQ, surely it is not ok or legal for the child to continue threw the grades failing and helpless! How should I as a teacher respond to this? What should the parents do? Request a change in the law to identify “slow learners” as being handicapped. Or better yet, differentiate instruction and teach all children. Your response was great. It’s what I thought, but I’m not a lawyer. So…. I don’t think my school is going to test or respond to this parents written request for testing. They’re calling me in to discuss further RTI interventions. Of course, I’m already doing all I can for this kiddo. What if the school denies or ignores and does not provide written notice??? What can mom do? What is the school’s liability? I’m a texas teacher and I’m having problems with RTI. RTI is being used to stall testing. I understand when simple interventions may make a huge difference, but there are some kids where the disability is obvious and they (I) am being denied. So…I tell my parents to make the request in writing themselves. I just had a parent do this. I thought the law stated that parent request had to be honored within 60 days. Isn’t this correct? A refusal would mean the school had to provide prior written notice explaning their reason for denial. What can I do to help my parents (and not jeapordize my job!) who have no clue about their rights? Many are soooo uninformed. 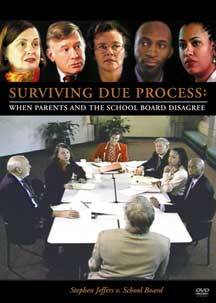 In TX when parents make a written request for an evaluation, the school must reply yes or no within 15 school days. If they say yes, the testing is to be done within 45 school days. We now realize 10+ years many campuses have been motivated by the state to limit referrals. What is the time line from a request for child study meeting to the meeting to ask that a child be tested for SPED? I live in Virginia. Becky The school can use the discrepancy formula. What parents don’t usually know is that the full 2 point discrepancy is not necessarily to be met to keep your child out of special ed. Our son got 1.9 discrepancy and we were told he did not qualify and that in fact he was “cured”. (yes the psychologist actually told me this). We hired a specialist to do an outside evaluation at public expense and reconvened an IEP meeting to discuss the results. The school ended up putting my son in special ed with an “override” to override the 1.9 point discrepancy since he did not get the 2.0 because of the recommendations made by the outside testing specialist and we threatened to go to due process if necessary. My daughter has always struggled in the areas of Reading and Math. I believe she is dyslexic. Her third grade year she was evaluated and denied special education services. The school uses a descrepancy formula. I was told that there was not a severe descrepancy between ability and achievement. Unforturnately, I did not understand the law and my rights at that time. My daughter is now in the 7th grade, and is failing. She is being ignored, I have received no letters of concern for her problems, NOTHING! What should I do, and can the school be held accountable for not providing FAPE? I am having to opposite problem of many of you. My son is in 2nd grade and received this test 2 weeks into school. Part of the test instruction was if you don’t know the answer just x it out and move on to one you know. Well my son answered a few but x out most. When I looked at his test it was clear that he didn’t try. He made all A’s in first grade and is making an A in math right now. Math is his easiest subject. I asked that he not be apart of this program. I was told that I didnt have a choice, it wasnt my right to refuse. Do I have a right to refuse? Linda, My son was given special education services prior to going to school and the school did a multifactored evaluation that qualified for the services. When he went to kindergarten he remained on the IEP and some of the goals were adjusted accordingly. He recieved a new evaluation every 3 years unless we requested additional testing which is our right up to one per year. If some of the parents are being told this it does not sound accurate. If you go to an outside place to get an evaluation you me be entitled to having the school pay for it if they cannot/will not do the testing in a legal time frame. Evaluations must be done in a certain time frame or they are out of compliance. LINDA-EVALS-DIAGNOSIS See Child Find in the federal regs,also look at your state regs-Schools have an obligation to locate, evaluate and indentify all students supsected of having a disability. Good Luck! parents in our area are being told they must receive a diagnosis in order for their preschool child with a disability to continue to receive services when they enter Kindergarten. There is a very long waiting list for these evaluations since we only have one center that does these evaluations. Please advise. What is a school district’s responsibility to assess a child’s suspected disability if the parent’s refuse to give consent? I had my first meeting today. Ig ave the dyslexia results to the school. The meeting had six school employees. The school psychologist stated the evaluation results to her did not show dyslexia. She mentioned the normal explanation about writing backwards. My son does not do this except d and b. What should i do now? The principle is going to look at all the information and get back with me. My son has an IEP since thirty four months old, he is now eight. 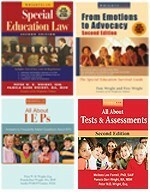 The IEP is for speech. He is in second grade and mostly tested in early first grade. I have a daughter that has had trouble in school since she was in kinder care. I have sense that she has problems keeping things in memory. Now that she is in second grade her teachers are seeing the same thing but not wanting theproper testing to see if it any diability. The school now wants to retain her. I need help from someone, the board of education does not have any solutions. The school my daughter attends states she needs a hearing and eye test done, both have been completed and still no coporation from anyone. What should I do as a single parent help my child?. Contact the Center for your campus and start there. If you attend another university in CA, contact the Disability Support Office at your school. More than likely you will have to provide assessments and verification of your disability, if you choose to do so. 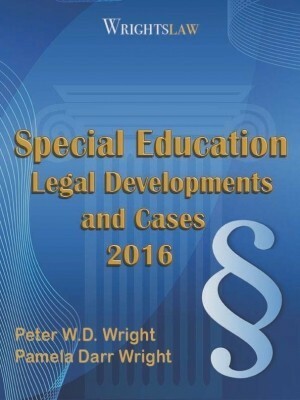 This office can provide the school policy and guidelines regarding students with disabilities. Also ask them about financial assistance and loan payoff information. I am 26 year of age. Recently diagnose with dyslexia. I am a Senior at the California State University system. I feel am at a huge disadvantage because I am on academic probation because I never received the helped I needed. I also have a substantial amount of student loans, because I never qualified for scholarships due to my grades. I have always had the same problems I present. What can I do? Can I request grade changes? Many advocates expressed concerns over school districts using RTI as an excuse not to evaluate. You can find these concerns and how the US DOE responded to those concerns in the commentary of the federal regs. The commentary of the federal regs is a MUST READ. Parents still have the right to request an eval during the RTI process, there must be documentation that the parents were notified of this right and RTI does not replace an evaluation. Parents should make request in writing. If school refuses to evaluate and gives prior written notice and child is later identified as a student with a disability only one phrase comes to my mind……………….compensatory services for their failure to evaluate. A teacher can’t give a psycho educational evaluation, unless she/he is a board certified psychologist. A teacher may give a “screening” to a student, but this is NOT a psycho educational evaluation. Make the request in writing, put at the bottom of the letter, “Please consider this letter my informed consent to evalaute.” Keep a copy. RtI would fall into part of the evaluation process… and can be used for 504 or campus/district support programs. If the kids can get help and be successful in general ed, that is the best place for accommodations. Special ed is the last avenue. Some times kids are a drain on interventionists/gen ed teachers’ patience and special ed takes the burden off their plate. We need more gen ed support in the class… NCLB has hurt not helped that! My grand son was diagnosed with ADD. Later, he was diagnosed with bipolar. For 3 years, my daughter requested that he be tested. The school told her he did not meet the guidelines. Even with doctor’s recommendations and two hospitalizations, they refused to evaluate and offered no help. They set him up to fail. His depression and high’s and lows became worse. They wanted him to repeated his junior year. After we removed him from the school, they tested him right away. He passed summer courses with a B and C. Now the school is allowing him to take 3 courses on the computer. What recourse do we have against this school? Some states allow teachers to do some testing, but most testing must be done by staff with more training than teachers have. You have a right to be told the type of staff that will do the testing. 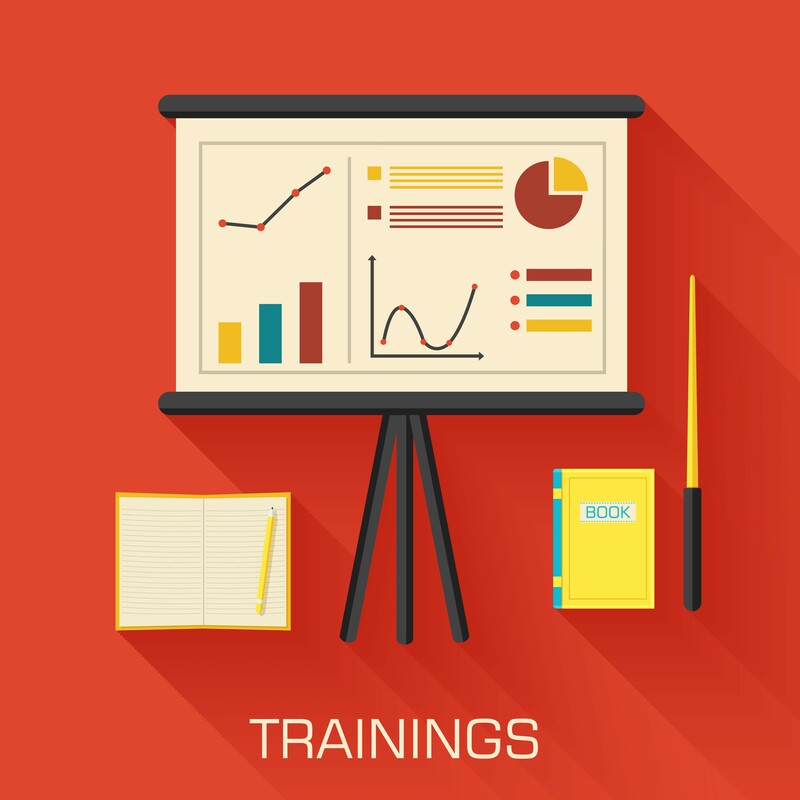 Through your state education agency and Parent Training & Information Center you can get answers to all of your question. Look at http://www.taalliance.org/ptidirectory/pclist.asp for the Parent Center in your state. They can help you with your options to get your child tested before school starts. Schools could test during the summer, but try to avoid this because it costs them to bring staff back when they are on vacation. 1.) 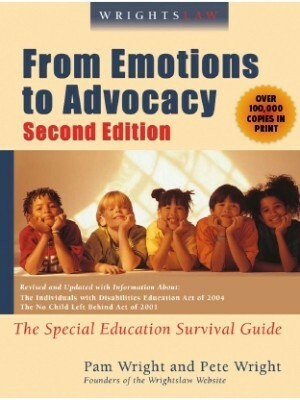 School districts have a mandate of child find, but only within the prescribed context of state eligibility categories which is to say that an external medical (or psychological) diagnosis from an outside source is not necessary or sufficient for qualification under sp.ed. 2.) Remember that the onus vis-a-vis special ed evaluation is always on finding a condition that impedes a students’ ability to gain from instruction. A child can have ADHD, Autism, and a host of other conditions that have little or no impact on interfacing with curriculum and being successful in school. E.g. : a diagnosis of dyslexia (which is a clinical form of LD in the DSM-IV) is not sufficient to be labeled LD in my district in NV. 3.) Piles and piles of research point to the supremacy of core instruction (Tier 1) in the gen. ed classroom as being the most vital for most students (exceptions always exist). The point is simply that we know that those students who receive instruction at their level in the gen. ed. classroom have the best outcomes. Please help – I am concerned about who, legally will test my child – the school says that the teachers do – I would like an independent testing agency to do my child’s testing as the school has already procrastinated my requests and now it summer. They have stated that there is no testing during summer so the tests will be given withing the first 60 days of the next school year. I want my child ready to go with an IEP in place as she is already repeating kindergarten. 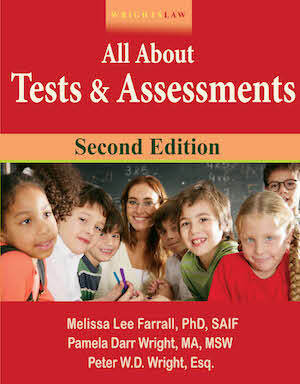 Are there sources for testing through the district that will test my child during summer? I am hearing about this more also. School attorneys are telling schools that RTI should be used. TX law says that the campus student handbook must include a statement about a parent’s right to request a special education evaluation. That statement now includes mention of RTI. The catch is that even if the parent requests an evaluation, the school can give the parent the “Refusal to” form saying that RTI has not been tried and is being or will be tried. Hopefully some readers will have ideas of how this can be addressed in TX and other states, because I see this situation increasing in TX and other states. In response to Chuck, RtI has become a huge mess for parents in Texas. 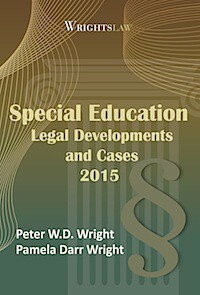 Districts have used RtI as a reason to refuse SpEd initial eligibility and/or dismissed the student from SpEd. In one case, the student has never been in school since the district does not have a Pre-K program. They state the student must have the Student Support Team (SST) observe the student and there is no timeline for how long this will occur. If and only if the SST deems it is necessary will the student be referred to RtI. The student has Asperger’s, ADHD, OT needs, Speech needs and some behavioral problems. Second case, student has been in SpEd for years for Dyslexia and OT support. Was recently determined to have Asperger’s and an IQ that is off the charts. The IEP team stated that because the student passed the state assessment and has passing grades, there can be no further SpEd eligibility or support. The student will now have to go back through all three Tiers of RtI. Regardless of what is presented to the IEP teams, the district will not change their stance. Parents are then put in a position of filing a complaint with the state education agency and wait for their decision. Any suggestions would be much appreciated. Other attorneys and advocates are seeing this across the state as a “new trend”. Thanks in advance for any input. Federal and state regulations require a child find responsibility for schools as Pam points out. Some school districts and campuses have always done a better job of this than others. However, now the Response to Intervention (RTI) model has complicated referrals to special education for schools and parents. The Federal philosophy is that too many students are being referred for special education testing and too many are being placed. The concept is that the proper implementation of the RTI model will reduce the number of referrals for testing and provide struggling learners with appropriate learning through non-special education programs. Some schools understand the concept and are trying to make it work. Other schools seem to be using this to stall or stop referrals, but provide no strong alternative academic programs. This is complicated by limited funding in many schools and increased pressure in some states for schools to reduce the number of special education students.